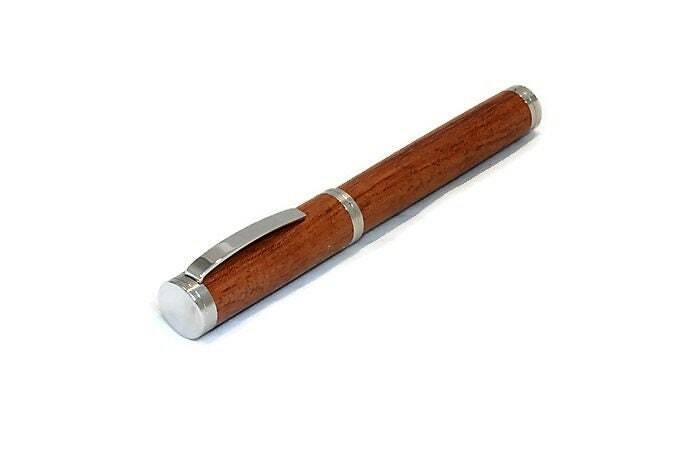 I've been selling my handmade pens successfully on Etsy for over two years. Click here to read some reviews left by my customers. 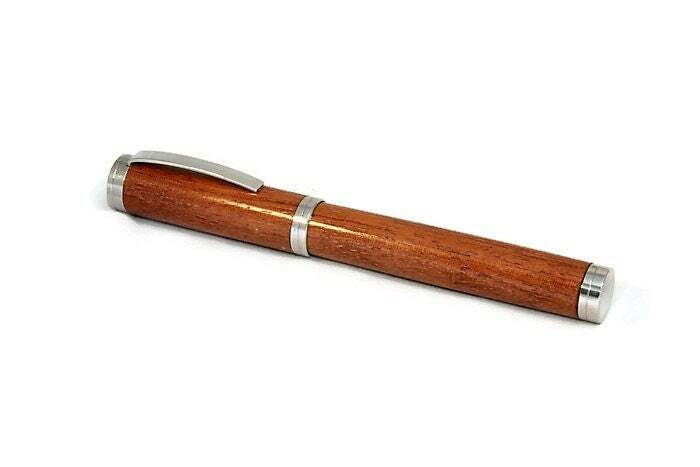 - Fountain pen with British Made 303 grade Stainless Steel fittings. 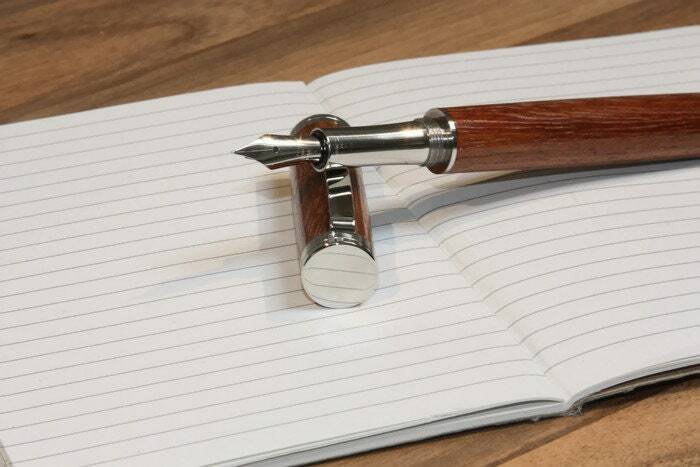 - Perfectly balanced for an exceptional writing experience. 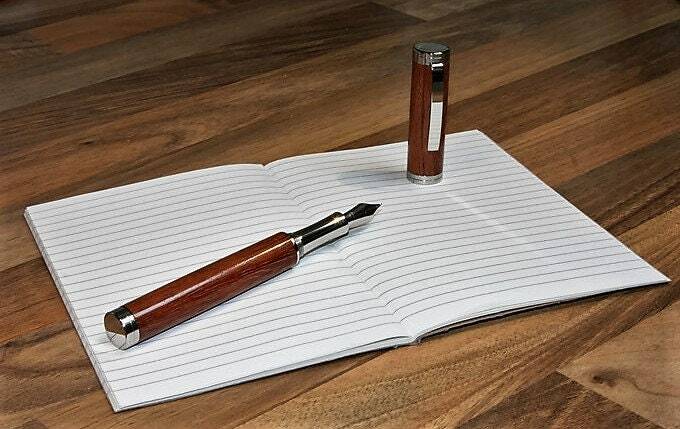 - The pen takes small 'International' ink cartridges & comes with five in your choice of either blue or black. 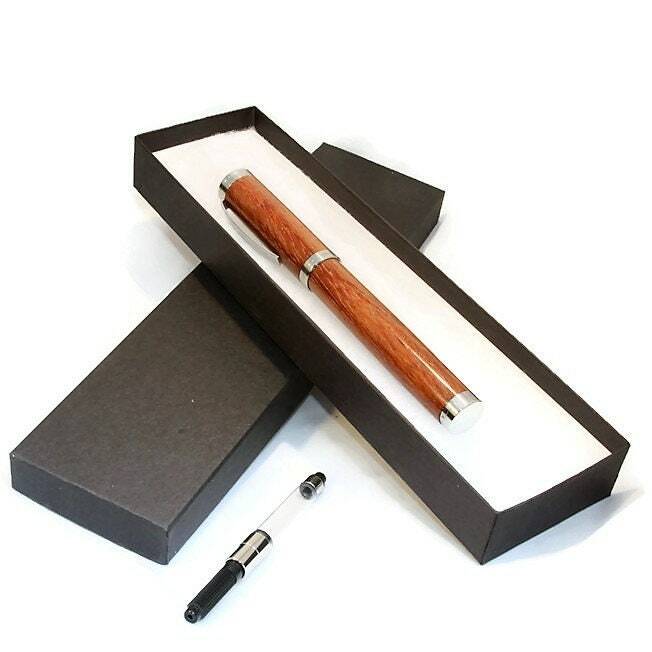 - The pen will come in a gift box as shown. 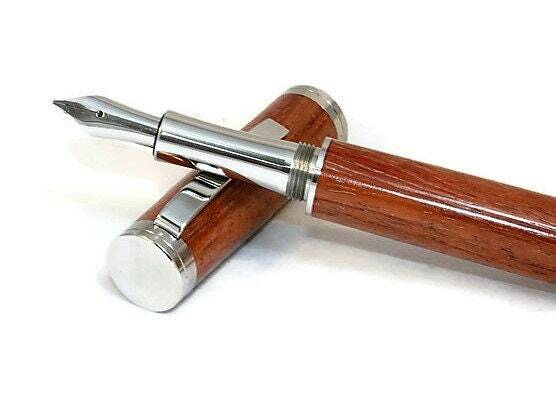 - The pen will come with guidance on use, care and storage. 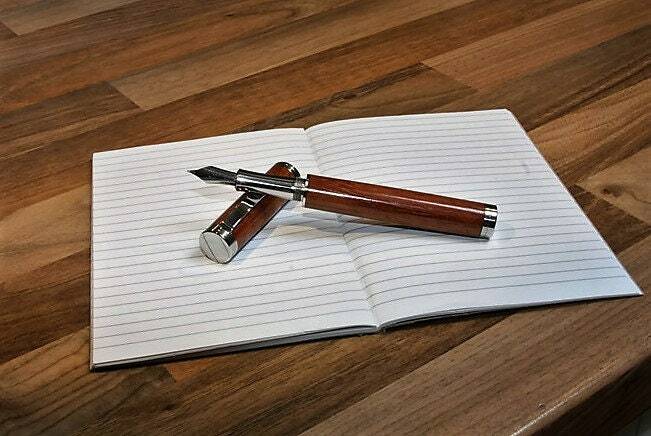 - The pen in the picture is the actual pen for sale. 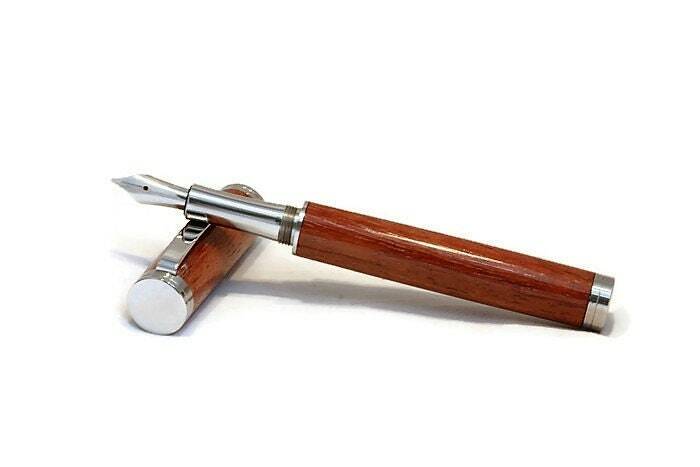 - All of my pens and pencils are individually hand made. Each one is completely unique. I aim to post all orders the next working day. - overseas orders are generally delivered within 7-10 working days after postage. I recommend that all buyers use the Shipping Upgrade Option to take advantage of the tracking facility provided by Royal Mail. Customers outside the UK please check the import restrictions for your country before ordering as you may be liable for import duties/taxes etc. Why not have a look around the different sections of my website? To fulfill your order, I will receive certain information (which you gave Etsy to provide to us), such as your name, email address, postal address, payment information and the details of the product that you are ordering. You may provide me with additional personal information (for a custom order, for example), if you contact us directly. First and foremost, I need to use and process your information to mail you the goods you ordered. I may use your contact details to communicate with you about your order, both before and after I send you goods, or for promotional messages about offers you might be interested in. 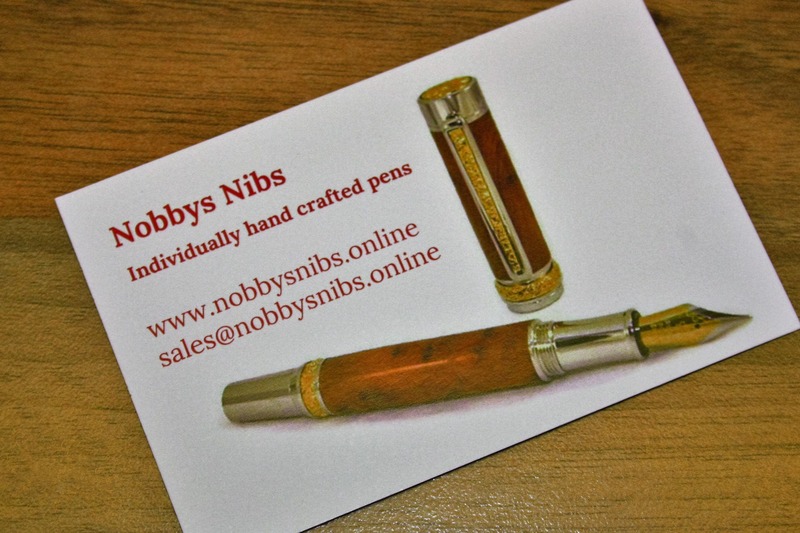 You can opt-out of promotional messages at any time, by contacting me at sales@nobbysnibs.online. I may keep records of past orders in order to calculate taxes payable, file tax returns and track shipping. I’ll only keep your personal data as long as is necessary to fulfill these purposes. If you are based in the EU, you’re granted certain rights under data protection law. These include the right to access, and in certain circumstances to correct and delete, your personal information. 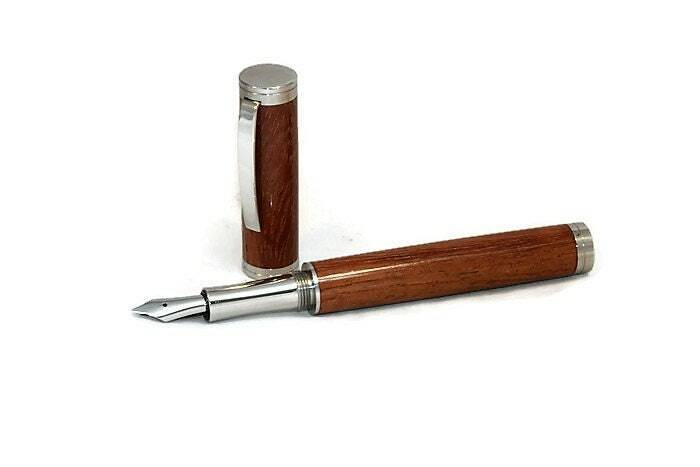 If you have any questions about these rights please contact me at sales@nobbysnibs.online. I am more than happy to accept custom orders, please contact me to discuss your requirements. I am sometimes asked if my pens can be engraved. This is not a service I can provide. I would not recommend engraving, but, if you wished to do so, this is something you do at your own risk. All items are securely packaged. Whenever possible, I use recycled packaging, however, if you'd prefer me not to, please add a note when placing an order. If you're buying for a gift, I'd be happy to gift wrap your purchases for a small fee. Gift receipts are also available which do not display the purchase price. All my items are individually handmade and each one is unique. I am willing to accept bulk or wholesale orders and am happy to discuss your requirements.